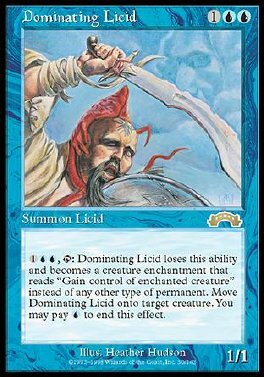 1UU, T Dominating Licid loses this ability and becomes an Aura enchantment with enchant creature. Attach it to target creature. You may pay U to end this effect. You control enchanted creature.